Hopping back on the tram, we traveled to Chinatown where we saw some of the most interesting things. I cannot imagine how someone could even begin to start such a beautiful painting on the side of a highrise building. There were several Asian grocery stores and we went inside one huge place in an old warehouse. It was a feast of sights and smells. My camera is quite large so I tried to carefully take a few photos of the vegetables, meats, fish, and other assorted goods without being noticed, but most pictures were just to blurry to post. Possibly another return visit with a smaller camera is in order! Also in the area was another section of the Petite Ceinture. Amazing how it seems to pop up when least expected. 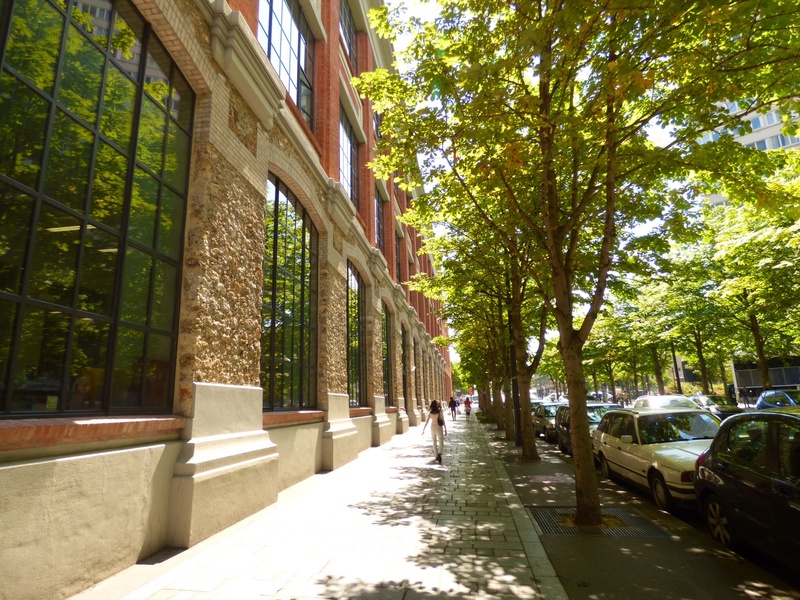 Nearby was the old Panhard car factory where the first French motorcar was built in 1880. 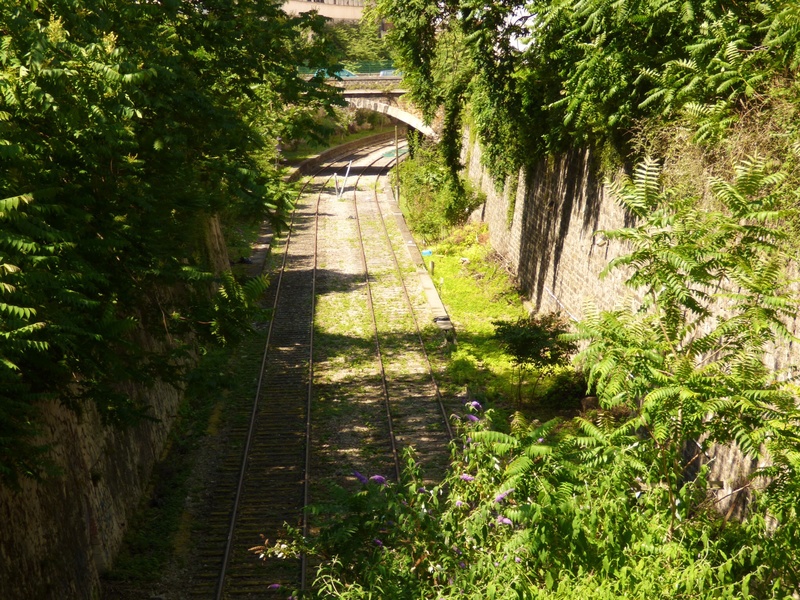 The redevelopment has also incorporated a no covered part of the Petite Ceinture into a garden area. Back onto the nice, clean and silent tram we travelled northeast to Bercy, finally arriving to the part about the wine. There was a bit of a walk from our tramway stop to Bercy Village, but a path led us into another fascinating section of Paris where stone buildings once held the largest wine market in the world. Most of the buildings have been demolished, but the remaining host cafés and line a pleasant street for easy strolling. Here and there you can also see the old rails used when transporting wine barrels. The village is connected to Parc Bercy, soon to be another of my favorite places to relax. This entry was posted in Paris and tagged Bercy, Chinatown, paris, Petite Ceinture. Bookmark the permalink. Delightful, and beautifully photographed. I love Part 1 also & the way looking at the two parts in sequence seems to magically transport one from city to countryside.